With 2018 now behind us, and the weather warming up, it’s time to look at rejuvenating your patio for the year ahead. Whether it’s a complete redesign of the area or accessorizing your existing area, we’ve got it covered. If you’re wanting a complete overhaul of your patio this year, there are a few questions you need to think about. Firstly, what is the use of the space going to be? Will it be for entertaining or family dining, or simply a quiet space to read? It goes without saying that your space will dictate the size of your patio furniture. Is there just enough room for a bistro set or can you have a larger furniture set? 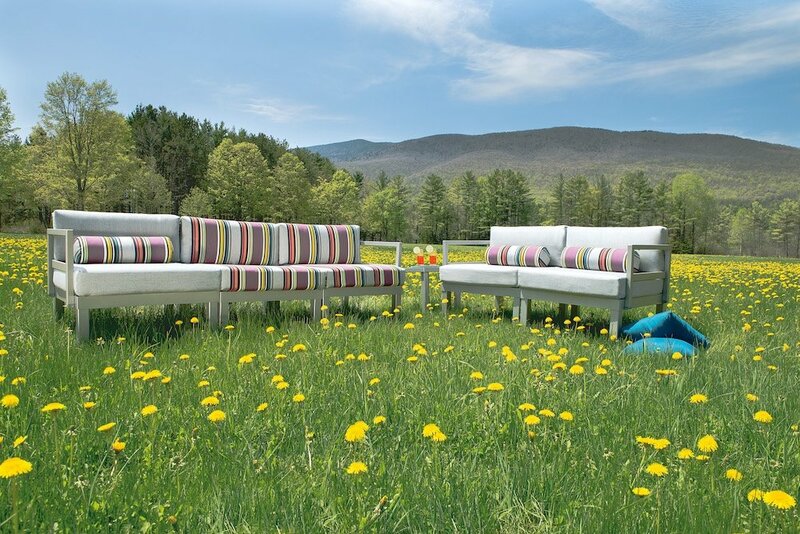 Think of your patio furniture as the centerpiece. If you use your patio for quiet reading, you will want to choose a comfortable chair, perhaps one that reclines slightly and has cushions. If it is casual family dining you’re after, a low-level table might be enough to meet your needs. Once you’ve chosen your furniture, it’s time to accessorize. Even outdoor space needs to have a degree of comfort and coziness. Outdoor rugs are a great accessory for allowing you to kick off your shoes and relax. Consider the shape and size of your space and patio furniture. If you have a round table, a round rug underneath works really well. An oversized rectangular rug would work better to cover a large area patio. Cushions are a great add-on to any patio too. A few new cushions and throws can easily brighten up and change the feel of any existing patio space. Any outdoor space can come alive with some carefully chosen feature plants. Ensure you choose carefully. You’ll need to think about how hardy the plants are and what sort of place they are best for in terms of sun exposure or shade. If you regularly use your outside space after dark, you need to consider lighting. The more adventurous types might want to consider outdoor fire pits and log burners, while candles and lanterns will always add a cozy and romantic ambiance to any space. Couple these up with a few nice throws to keep you warm and you’ll have a purposeful outdoor space even in cooler weather. Whatever the size or shape of your patio, we hope we’ve helped you have some new ideas for reenergizing the outdoor space in your home! Remember, accessories can be changed much more easily than your patio furniture, so choose wisely and you’ll have many years of enjoyment to come!